Lately, Michigan weather has been CRAZY. 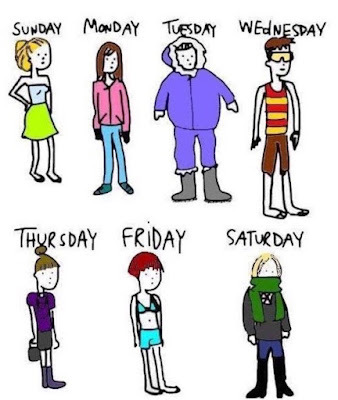 We had a couple of days last week that were up to 73 degrees and sunny! I was able to drive with my windows down and wear short sleeves... in February. And then it got down to 30 degrees, overcast, and windy. And yesterday, we had some freezing rain in the morning. A week of Michigan weather (not sure who to credit for this cartoon! 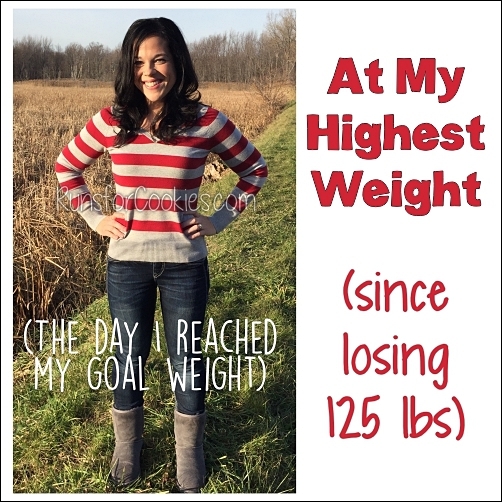 So, my last post was my Wednesday Weigh-in. I feel like I've been writing so much about my depression lately that I've just been avoiding writing any more because I'm tired of talking about it. After several hours of phones calls to the doctor's office and the insurance company, and jumping through many hoops, I was able to get my insurance to approve my new antidepressant. I am going to stay on the waiting list to see a psychiatrist, though, just in case this new med doesn't work out. I started taking the new med on Thursday, and the initial side effects are a little annoying. I've found this to be the case with other antidepressants as well, though, and the side effects usually go away after a couple of weeks; so, I'm not really worried about them. Right now, I'm just having a lot of ups and downs with my energy level (sometimes I have lots of energy, other times I have zero), and I am having a hard time sleeping at night. The hardest part for me has been when I'm lacking energy, especially because I'm training for Indy right now. Yesterday, I was supposed to do an eight mile long run, but I just couldn't bring myself to do it. I don't blame the medication entirely, because I still haven't gotten back my running mojo, so it's been hard to make myself run at all for the past several months. I did bundle up for a walk with Andrea at the State Park yesterday, though, and I realized just how much I love walking. Running is something that I love when it's over with--it gives me that "runner's high" and that's a great feeling. I usually don't get the runner's high anymore unless I'm doing a really tough workout. But walking... I actually really enjoy going for walks. I don't want to make any decisions yet, but I was thinking that if my running mojo doesn't come back, I might choose to walk the Indy Mini instead of run it (or maybe do a run/walk method). 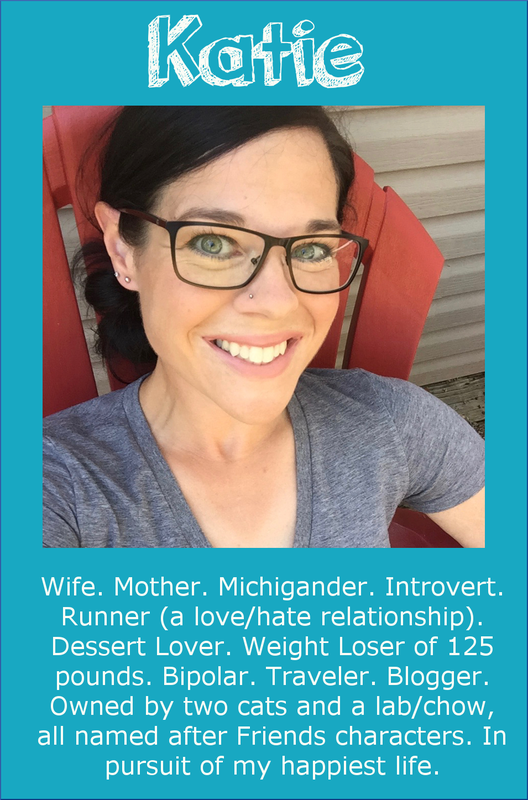 I think I feel like my identity is tied to being a runner, especially considering the title of my blog; but I've declared the year of 2017 my year of giving "zero fucks" about what others think of me and doing what makes me happy. So, if I would be happier walking the half, then that's what I'll do. But if my energy picks up in a couple of weeks, I may still choose to run it--we'll see. Beginning: Didn't feel like a "real" runner, but was getting there. Excited once I ran my first race. Then: After my first race, I was hooked and couldn't get enough. I wanted to keep increasing my distance and my pace. Next: Run ALL the races, get ALL the medals. 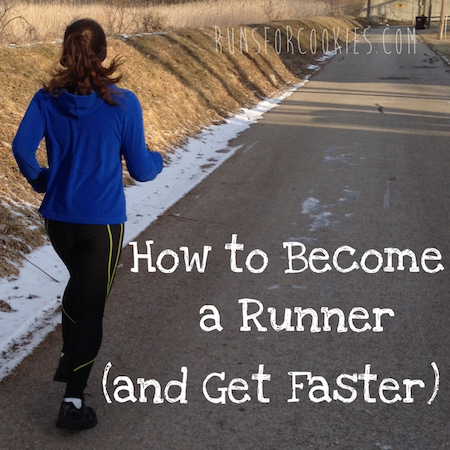 Then: Focus on one distance or one race, to become a better runner overall. Next: Burnt out, deciding to try running "for fun". Recently, I've been thinking how nice it would be to really expand the different activities I do, and focus much less on one particular exercise (running). My friend Andrea really likes to do water aerobics and aqua jogging, so I'd like to do that with her at least once a week; I miss riding my bike, so it'd be fun to do that 1-2 times a week, when the weather is a little warmer; running is an efficient way to keep in shape, so I could do that 1-3 times a week; and then I can use walking or other activities to fill in the other days. When I told Jerry about possibly walking the Indy Mini instead of running it, I felt almost ashamed for a minute; then I realized how ridiculous that is. I remember reading Andie Mitchell's story about how she just gave up running one day because she really didn't want to do it anymore, and you know what? Her life went on and she was happy. I don't want to give it up completely, but to cut back significantly (at least for a while) sounds nice. Body weight exercises like squats, plank, push-ups, etc. Sports like tennis, volleyball, basketball, etc. This year, and possibly last year, has been kind of odd for me because I am liking the cold weather less and less. I used to LIVE for the cold weather for my runs, but now it's very hard to make myself go run when it's cold. I've very aware that my attitude toward running right now could simply be my depression talking--and maybe once this antidepressant starts working, my mood and ideas will change. That's one of the reasons I've been avoiding writing--because "Depressed Katie" is not the same as "Normal Katie". I'm more pessimistic, and I don't find joy in things that I used to (including running). I think this is the longest depression episode I've ever dealt with, and it's been frustrating. I just want to feel normal again! I am feeling better than I was a couple of months ago, so I'm hoping that trend continues. I'm also being more proactive at feeling better. I've been making tons of plans with friends and family so that I get out of the house and be social. This weekend was super busy, and I had a lot of fun! Friday, I spent the day with Andrea; Saturday, I had a fun afternoon date with Jerry; and yesterday, Jerry and I took the kids bowling with Brian and Becky. I always enjoy getting together with them, and I love that they live just 30 minutes away now (as opposed to Minnesota). I got the most random email yesterday from someone who coordinates Ariana Grande's tour, and she invited Jerry, the boys, and me to Ariana's concert on March 12 (including a backstage tour)! How crazy is that?! I'm really looking forward to it, because I've actually NEVER been to a concert in my life. My kids haven't either, so this will be quite the experience. Jerry screamed like a 12-year old girl when I told him, hahaha. Another thing I'm looking forward to is a local meet-up that I planned for From Fat to Finish Line peeps on March 18. Of course, any of you reading this are more than welcome to come as well! We are going to go for a 5K walk/run at the State Park and then go to Cracker Barrel for brunch afterward. I was expecting maybe 2-3 people to respond, but surprisingly, there are 12 people who said yes, and 6 more who said maybe! After having met so many nice people in California, this was something I really wanted to plan. The following weekend, I'm hosting a game night with friends at my house. I expect my belly to hurt from laughing so much as it usually does when I hang out with these people, so I can't wait for that! "zero fucks"...great way to start the year!! I want to adopt that motto too! I am so sorry that you are still dealing with depression, I know how what is. Have you considered getting a job or volunteering somewhere regularly? The best way I have found to deal with depression/anxiety is to get out of my own head, and out of my own way and focus on helping others. It's really been life changing for me. It's rewarding, and keeps me from spinning my wheels. I hope you are turning the corner soon! Yes! I actually recently started the process of volunteering... I'm not ready to write on my blog about it just yet, but hopefully I'll be doing that soon! :) My therapist thinks it's a good idea as well! That's awesome, Katie!! Good luck! I wish I could adapt a "zero fucks" attitude right now. I feel like I'm almost in the same boat. I signed up for a half marathon in May and 2 other random races that now I'm regretting because honestly, I just don't FEEL like running. Last year I was really in to it and reached my half marathon goal time. But this time around, I'm really enjoying my strength training classes I've been taking 3-4 times a week and either using my elliptical or walking with my family as my cardio. It's so hard for me to work up that energy to run. Especially when it's cold!! I'm still 11 weeks out from the half marathon race date so I'm hoping to pick up my energy again but I guess we'll see what happens. Maybe after this race I'll sit down and re-evaluate my running plans. It just sounds silly when you think, man I hate doing this. Then why am I doing it?! You have to do what will make you happy! Changing, and switching up activities would be a great idea. Check out Melissa Bender's channel on YouTube. She has great workouts from 12 min to almost an hour. Most of them are body weight, you could use weights if you had them and wanted the challenge. They are workouts you can do at home just watching on your computer and, a neat way to change things up! A triathlon is one thing that I've never had the desire to do! Hahaha, but I will give it some more thought ;) Thank you! Yup right there with ya! I am all or nothing in many ways with how I live my life....I am so in the "nothing" right now when it comes to exercise. I blame 99% of it on the winter...every day it has been unseasonably warm I have been out and about and feeling so much better. Here in MN we have about another month left of the usual cold swings and then bring on spring!!!! The winter weather never used to bother me this much, but as I've gotten older, I realized I don't do well with the cold! And this winter has been pretty mild, actually. Thank you so much for the link to Andie's page. I had never heard of her! Also....back in 2005-2007, I lost 95 lbs. Walking was my sole form of exercise. Then after I made my weight goal, ppl started encouraging me to start jogging, but I said I didn't even want to start because I didn't want to mess up my metabolism and have to jog forever to maintain my loss. But then I decided I wanted to try to learn to run a mile. I still remember how it felt when I was finally able to jog a mile for the first time in my life. Then came Couch to 5k training, and numerous 5k's. The thing is, I love the atmosphere of races, but I hate jogging. However, quitting and going back to just walking makes me feel like such a failure. However, I've gained 30 lbs back, and I have had two foot surgeries, so I dislike jogging even more now because it's even harder than before. My truth is that I don't want to jog anymore. Thank you so much for this post, because I really want to work on being ok with not forcing myself to keep jogging. 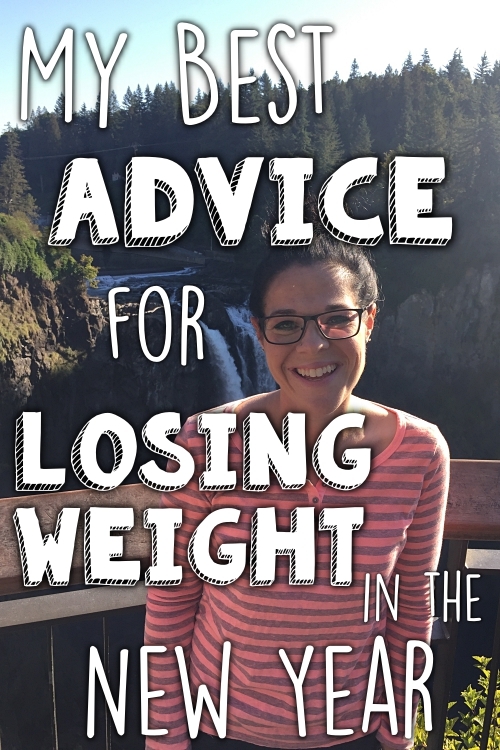 I've always known that 90% of my weight is connected to my eating and not my exercising, so why can't I just finally let it go? Although I can identify with you having your identity tied to running, I have to second (or third?) the idea of you keeping your list of activities you enjoy in your head, and maybe loosely planning out your week in workouts, but letting yourself have permission to choose from any of them depending on what you feel like doing or what works with your schedule. I feel like running got you to an active lifestyle and it's good to branch out! I think I personally feel stuck in my own prescribed workout schedule, but I have gotten to the point that I choose the exercise I want to do according to what I feel like doing that day (I alternate strength and cardio days). Thanks for sharing and I hope you get feeling like yourself again very soon.. I LOVE that idea! Some days, I actually really do feel like running; but other days, I want nothing to do with it. Same goes for other activities. I like the idea of choosing from a list! Thank you! Hey Katie- I am sad to hear your still not feeling 100%. The 'Zero Fucks' attitude seems like the way to go. Staying happy and healthy is all that matters. 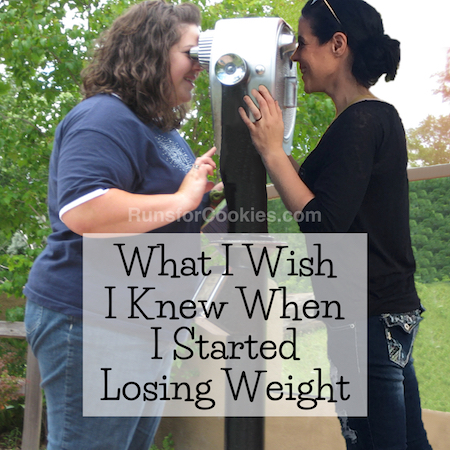 I tend fall into the trap of betting myself up when I miss a workout or over-indulge. I think the 'zero fucks' attitude might help with that. Just move on and doing things you enjoy seems key. Thank you Kathryn! It's so easy to beat ourselves up when we don't follow our intended plan. You're right--happy and healthy is all that matters! Have you seen the "zero fucks given" meme by some ecards? It's me at work most of the time! I appreciate your honesty and hope you do all the things that make you happy :) the Ariana Grande concert sounds awesome!! Have fun! Haha, yes! Ultimately, my goal is to live a happy and healthy life, so I don't NEED to be a runner to do that. I hope that I'll get excited about running again soon; but I do love the idea of trying other things, too. I'm so glad to hear that you really enjoyed your walk and are even thinking of using the walk/run method. I started doing that a few years ago and have had 0 injuries (knock on wood). It really makes running more enjoyable and while I'm slower than average ... I'm still a finisher and having more fun! I did the walk/run method in 2015 quite a bit, and I loved it! It made the time go by so fast. Katie, you have to look up Hawk Finess Apparel on Instagram. Trust me, you will love their motto and their postings! I am in a season of not wanting to run right now as well. My timeline looks pretty dang close to yours! I know it's a great way to get in cardio, but I just don't love it right now. I think a lot of it has to do with not having a consistent running partner. I feel like the last woman standing in my group. Enjoy taking the time to find other interests! I just checked out Hawk Fitness, and holy cow--I want it ALL! hahaha. Thanks for sharing! Yes!!! I just got the clean eating tank. They put new stuff out all the time! You are so much more than a runner! From your blog and the openness of your posts, you are a beautifully fleshed-out human being. Normal or depressed, I love reading about your life. Thank you for sharing! I can't find the blog post, but I read somewhere to take a running plan and use 9 or 10 day intervals instead of week-long intervals to plan your runs. 9 or 10 days gives flexibility when "life" gets in the way (and you need to swap workouts) and gives more opportunities for cross-training (something you seem to want to embrace more). Just a thought! I'm so jealous of your upcoming concert!! Weather here in Wisconsin has been crazy as well! We had 70+ degree weather followed by ice storm and then snow. Today it is almost 60 with thunderstorms and tomorrow it is supposed to snow. Not a fan. I'm looking forward to steady 65-70 degree sunny weather! I've never really gotten past the run/walk method for anything longer than 5k. I know that I could if I wanted to, but my husband and a couple of friends and I all go out together and run/walk. I used to care and want to get a lot faster, but then I realized how much more pleasurable it all is when I can go out with friends and have a conversation and just enjoy being outside! Whatever you choose to do should be because you want to do it..."zero fucks"! Once again thanks for your honest, heart felt posts! I had to stop running 2 years ago due to a foot injury and eventual surgery. 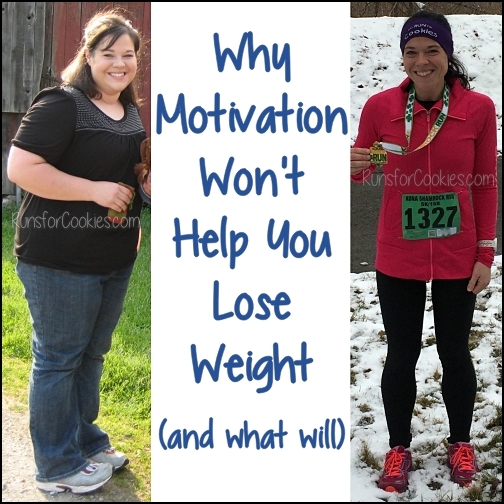 I was panicked at the thought of not running because it was a huge factor in weight control for me. It took a while to accept that I was going to have to drastically change things in order to remain pain free. I now do the elliptical, Barre workouts, weights and walk and sometimes walk/run on the treadmill. I hope to get back to being able to run 2-3 miles eventually but right now being pain free is more important. Surprisingly after changing things up, I did get to my goal weight, even below. It was nice to know I didn't have to be running tons of miles to maintain my weight. Thanks for sharing your journey! Ugh, I wrote out a really good comment this morning and then accidentally deleted it! So I will have to make do with a quick one before bed. I'm thankful that you write about your anxiety and depression, Katie. It helps me to know I'm not alone. It also helps me by seeing how someone else handles anxiety and depression. So please don't ever feel bad for posting what you do. And good for you for doing what you want. Maybe it's just time to move on for now and branch out. We'll still know you are a runner, too! Girl, you are speaking right to me! I've been trying to force myself back into running (after losing 100 pounds, pregnancy, then weight gain) I've really been trying to do some sole searching, but finding it so difficult! I just recently started reading the blog, and I'm really enjoying the process of catching up. I wanted to comment on this post particularly because I also relate to feeling like your identity is tied to running. I like how you articulated that progression from early days of excitement and wanting to "run ALL the races, get ALL the medals" to later feeling burned out. It is harder now to get that runner's high (like a drug where you need more and more to get the same effects!). I am still trying to figure out what's next. I wish you the best in your journey.